The Belles originally wasn't on my radar until I went to an author event that included Dhonielle Clayton. If you've never heard her speak, remedy that as soon as you can! She's incredibly funny, eloquent and charming. I made up my mind right then and there that I would check out her novel and I'm glad I did. 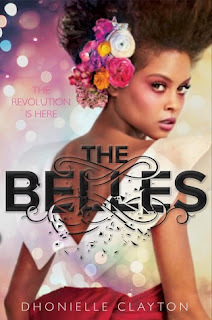 On the surface it's a fantasy book set in the world of Orléans where Beauty is coveted by everyone and the Belles are in control of giving that Beauty to others (basically they're magical plastic surgeons and estheticians). But at the core, it's a deep commentary on beauty and the extreme ways people will go to achieve it. Camellia Beauregard is a Belle and like her "sisters", she wants to selected as the favorite by the Queen so she can tend to the royal family and their court. But soon she learns that being the favorite and even being a Belle isn't what she thought it was. She begins to uncover dark secrets about her origins and soon the Queen asks her to use her abilities in unintended ways, leaving Camellia at a crossroads. Will she do her "duty" or defy tradition? Given how engaged I was in the story from page one, I definitely needed to know the answer to that question and I was not disappointed. Do I recommend? Yes! Solid writing and characters. I'm curious to know where she'll take the series next. 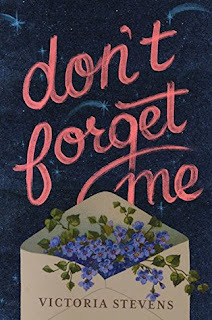 Don't Forget Me opens with Hazel Clarke moving to Australia to live with a father she's never met before as she leaves behind her mother and her home in England. To her, this move is temporary. She has no reason to start a new life in this new country with a dad who's a stranger, when all she can think about is her mom. It's heartbreaking to see this young girl's life in upheaval especially as little moments reveal why she had to leave. But then something unexpected starts to happen. She gets to know her father. She makes friends at school, which is so new to her. And most importantly of all, she meets twins, Red and Luca, both of whom find a place in her heart, albeit in different ways. Red is outgoing and kind and Hazel immediately clicks with him. With Luca, it's more of a slow-burning connection but equally as strong, especially as Hazel realizes that he's also dealing with loss. The relationship with her father, the way Hazel thought about her mother, these friendships and the eventual romance with one of the twins (can you guess who?) is what made this debut novel so touching and engrossing. Do I recommend? I do! I will say there is something about the writing style (it's multiple points-of-view but always third person) that did make me feel like there was a wall between myself and the characters at times. Like instead of feeling immersed in them, it clearly felt like I was reading about them, if that makes sense. But that aside, it's a touching story with characters I very much enjoyed.